Last night while lulling myself to sleep, I dwelt on all things ‘google’. Like my go-to site for information. Google maps, google photos, and google finance for tracking portfolios. Oh, yeah, then there’s gmail that hasn't failed me once in 10 years, and google scan that works great at precision scanning of photos! Google contacts keeps my phonebook handy no matter where I’m at. Google keyboard (gboard) allows rapid slide-typing in both Thai and English on my mobile phone and gets better the more you use it. A day doesn’t go by where I don’t use google translate. Almost asleep when I realize Chrome, my browser, is also owned by google…...as is my chromecast that I use to watch netflix and youtube everyday. DotVPN, a Chrome extension, may be all I need to ditch my $50/year subscription to Strong VPN.......DotVPN is free and seems to do all the things I need a VPN for. Finally, I think, google docs and google drive that allow me to have access to all my data no matter where I’m at. I’m so totally screwed if someone pulls the plug on google……...but I don’t lose sleep over it. And except for the extensive dossier that google might have on me, all the above is free and hundreds times better than any of the paid-for programs that I had previously. VisiCalc, anyone? Indeed parrot, I watch a ton of Youtube, e.g. owned by Google. And more and more I am visiting Google News as a launch point for my news perusals. I use Google Images a lot and always select "Tools" which opens a menu for looking for specific sizes of images. I search for maps old and new, and choose the largest possible image size and often find amazing stuff. I do the same for artwork and astronomy etc. Items of such large file size that I can get them printed locally. A few times I have thought to create my own search engine spiders / indexers on a spare machine at home but for some mysterious reason there are no links to anything useful as far as free search engine software goes. Hmmmmm. 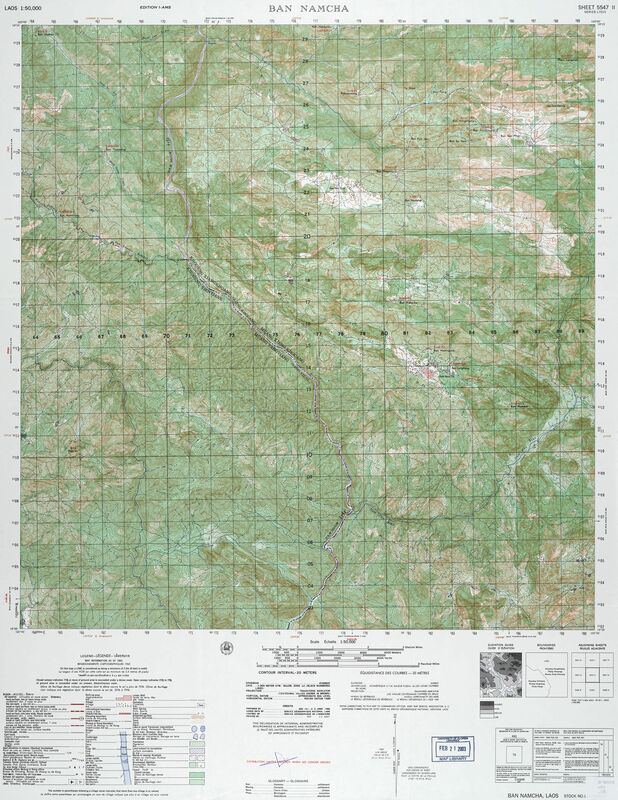 Just found a nifty 1966 map of Long Tieng including the air base. Took the browser a few tries to render it but it finally came up. Live in a bubble. Google, the new Fox, only on steroids. This may be unrelated but today out of the blue I have been deluged with Spam on gmail and new stuff I haven't seen before. I changed my password a month ago tho I doubt it affects spam mucjh. My gmail account does a 99% job of putting spam in the spam folder automatically. The 1% that rarely makes it into my inbox gets ! for spam and I never see it again. It's one of the best features about gmail.....as compared to the old email account I had. I should have mentioned all the spam is going to the Spam box. Between 2300 last night and 0800 this morning there were 22 spam messages. Annoying but easy to delete. For me, it'd only be a problem if legitimate emails were going into my spam folder. Since the has never happened, to me, I just delete the mass of them once a blue moon or so. I use Yahoo and have to regularly check my spam folder as quite often they send legit emails into the spam folder. Dont know what criteria they use for deciding but it can be a little annoying. That said they are good at filtering out 99% of the crap flying the internet waves. Google is the biggest and most pervasive marketing company in history. Everything users give them is used for marketing purposes - usually sold to 3rd parties in some form, if not directly (also, some forms).